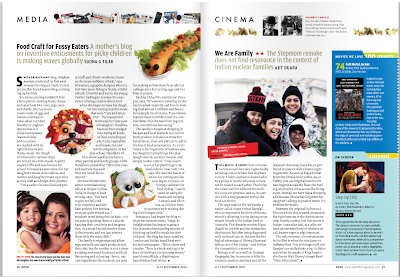 family & Mrs Tilak for the wonderful feature . My lil one is jus loving the wonderful present !!!! Congrats dear ... Love the quick recipe !! Congratulations Smita :-) You deserve it. Congrats again smitha :) Simple yet creative toast !! As usual a beautiful presentation.Congrats on ur award. These little toasts are so charming, my goodness! You are definitely on to something! Simply brilliant! The animal toasts are just adorable! 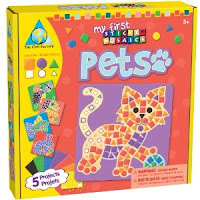 I need to find some animal shape cookie cutters! Wow! You got a big article in the magazine, how wonderful, you are becoming quite famous! That is good, because your talent really needs to be shared. Congrats for your feature. Lovely recipe. Brilliant looking toasts- almost a crime to eat them! Congrats! and the toasts are so cute :). Congrats very well deserved ! Pass my hugss to her. I recently came across your blog and loved it!! Got inspired by your creations and got some animal shaped cookie cutters to bring more variety to my 2 year old's lunch box... and he loves it! :) Keep churning out those great ideas. And congrats!! congrats smita...! toasts looks yumm..thanks for beautiful comment on my blog..!glad you like dhokla recipe..!